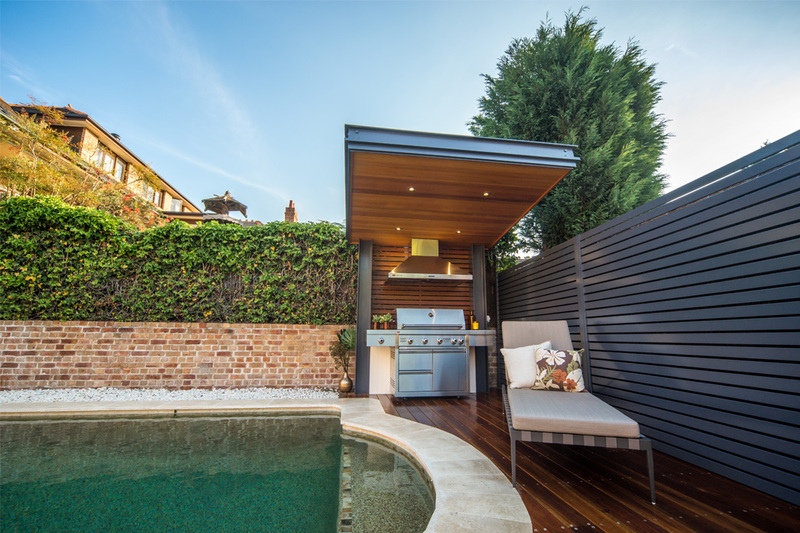 The owners of the featured property approached Sydney Outdoor Lifestyle to fully renovate their outdoor area. They requested a naturally lit, unique space with an abundance of natural materials. The company met their requirements by installing architectural glass awnings, as well as timber and limestone accents. Extensive demolition of the existing outdoor space was required to provide the natural light the clients requested. The glass awning was installed above the kitchen windows to welcome sunlight into the home. The roof’s cathedral design enhances the amount of light that can enter the space, while adding visual appeal. Natural limestone paving creates a cohesive flow throughout the space, and contrasts beautifully with the spottedgum decking that surrounds the pool. A freestanding awning was also installed over the barbecue to ensure the area can be used and admired at any time. Built with spotted-gum timber and western red cedar linings, the awning blends seamlessly with the other natural elements. 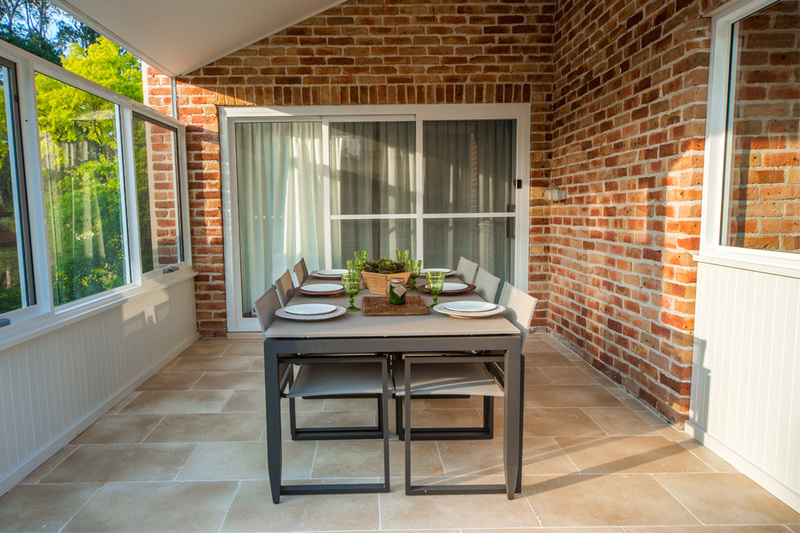 To connect the indoor spaces to the outside area, commercial-grade aluminium sliding and stacking doors from Taberner Glass were professionally installed by Sydney Outdoor Lifestyle’s in-house service, Sydney Bifold and Window Installations. 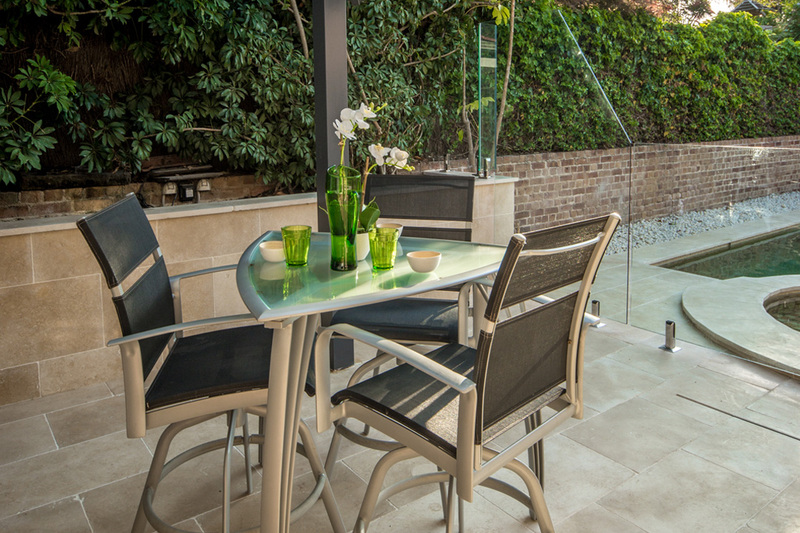 The experienced team at Sydney Outdoor Lifestyle are driven to deliver high-quality craftsmanship to their clients. With an innovative approach at the core of the company’s values, as well as a genuine passion for creative outdoor design, Sydney Outdoor Lifestyle aspires to help its clients maximise the full potential of their home. 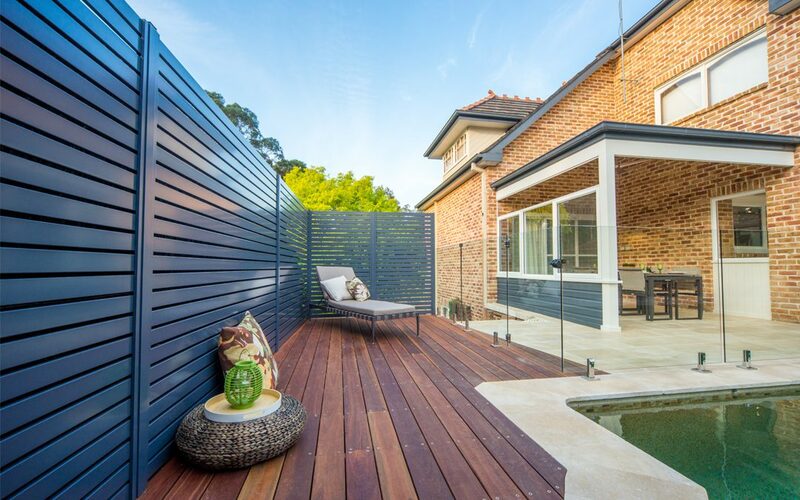 With a reputation for designing and constructing highly functional and innovative outdoor spaces, Sydney Outdoor Lifestyle has a highly experienced team that strive to achieve the perfect result, every time.